I don’t know what is so hard to grasp about the concept of defamation. The idea is that one must not assert as fact something about a person that is demonstrably false and that holds that person up to public ridicule or hostility, harming their reputation. It is easily distinguishable from opinion: it must be published “with fault,” meaning as a result of negligence (asserting a “fact” without checking that it is true) or malice (with the intent of harming someone’s reputation). Why is that difficult? I don’t know. This guy, however, really doesn’t understand defamation, and he was a radio talk show host. That’s like not understanding snakes and becoming a snake charmer. Yes, the ethics value being missed here is competence. Catt Gallinger, a 24-year-old Canadian woman, is trying to warn others after getting a “scleral tattoo,” which consists of injecting ink into the white part of the eyeball. She has posted graphic images of her eye leaking purple dye after an attempt to tattoo the white of one eye that went horribly if predictably wrong, and may leave her partially blind. Serious question: How many people need this warning? How many brain-damaged, lobotomized dementia sufferers need this warning? Gallinger already has a forked tongue, multiple piercings and many more conventional tattoos, wrote on Facebook that immediately after the tattoo was done on September 5, purple dye began streaming down her face. Obviously, the tattoo artist wrongly offered a dangerous survice, but even more obviously, only an idiot would ask for it. One does not need extensive research to determine that using a needle to inject ink into one’s EYE is insanely risky and completely unnecessary. 1 Under pressure from President Trump, who shouldn’t have appointed him in the first place, Health and Human Services Secretary Tom Price resigned yesterday. He, along with other Trump officials, was under Congressional scrutiny for using expensive charter and military flights unnecessarily, costing taxpayers at a time when the administration is supposedly watching the budget. Under Federal Travel Regulations, officials are told to take the “most expeditious” means of transportation which “by no means should include personal use,” Chairman Trey Gowdy and ranking member Elijah Cummings had written to letter to Price, 23 other agency heads, and the White House. Price has spent more than $400,000 on taxpayer-funded private jet travel since May. Price’s abuses included a $17,760 round trip on a charter jet to Nashville, where the HHS Secretary stayed less than six hours, including lunch with his son. The day before he resigned and a day after the President publicly expressed displeasure over the travel abuses, Price had apologized. “Today, I will write a personal check to the U.S. Treasury for the expenses of my travel on private charter planes. The taxpayers won’t pay a dime for my seat on those planes,” Price said in a statement, adding that he will no longer take private planes while serving as Secretary. “No exceptions.” This was deceit, however. The repayment was just $51,887.31, a fraction of the true cost to the government. That was, as Price said, the cost of the secretary’s “seats” if had flown commercial. 2. Losing one arrogant, travel-abusing high official may not be enough. It’s an interesting problem: is it fair to make one miscreant the focus of abuses that involve many? No; it’s also not practical, and therefore not responsible, to behead a significant portion of the Executive Branch because oversight was lax and an unethical culture had been allowed to take hold. I think Veterans Affairs Secretary David Shulkin would be an excellent and deserving candidate to join Price as metaphorical head on a pike. Shulkin took a 10-day trip to Europe this past July, for meetings with Danish and British officials about veterans’ health issues. He treated much of the trip as a vacation, taking in a Wimbledon championship tennis match, touring Westminster Abbey and taking a cruise on the Thames with his wife, whose expenses were also paid for by you and me. The federal government paid for the commercial flights for Shulkin and his wife, and provided a per-diem reimbursement for their meals and other expenses. How did Mrs. Shulkin rank reimbursements and taxpayer-funded airfare? A VA spokesman explained that she was traveling on “approved invitational orders” and had “temporary duty” travel expenses. The page, Wordplays’ Anagramer, told me that there were no anagrams for that phrase, which is, of course, isn’t true. [UPDATE: See below] “Auntie Yang’s Great Soybean Picnic” isn’t one of them, but there are thousands, my favorite being (courtesy of a the ethical anagram generator here), “Deriding Hog-thrown Lint.” I always deride hog-thrown lint myself. I amguessing that the only reason Wordplays refused to give me the anagrams I requested was that it decided that I shouldn’t have the right to even write or think the phrase “Hitler Did Nothing Wrong.” Somewhere in programming their site the social justice warrior totalitarians have decided that “bad words” and “bad ideas” can’t be used or thought about, even in jest. Even in an anagram! This isn’t funny, this is scary. There is a large and growing segment of the American public, many quite powerful, who believe in social change by constriction of words and thought. They see technology as their ally, and those who run technology companies show every sign of being such. These are enemies to democracy and our liberties as defined by our Founding documents, our traditions and history. They aren’t enemies because they block anagrams due to their crippling political correctness and arrogance. That just means they are silly fools. They are enemies because they don’t think using their power to interfere with the speech and thoughts of others is wrong. They think they are doing good. And if they can–if we let them—they will warp our culture using laws, intimidation, indoctrination and, of course, technology until everyone believes that controlling words and thoughts is good. If you think this is just about anagrams, you’re dangerously naive. I went over to the Wordplays Anagrammer site to play with it. The thing is, I can’t reproduce your results. When I enter the phrase “Hitler Did Nothing Wrong” it displays hundreds and hundreds of anagrams. Maybe it was just a glitch? …I thought maybe it didn’t work in some browsers, but it worked in all five I tried. I don’t know what’s going on. I tried twice, and got a “No anagrams found” message. I will assume that it’s me, not them. The general position of my post stands, however. Even if the web isn’t censoring anagrams, there is a lot of manipulation going on. Many thanks to Windypundit for the research and the report. Ethics Alarms often writes about the duty to rescue, but has also often discussed the reasonable limitations on that duty. You are ethically required to do what you can to prevent a tragedy if you have the power to do so, and instant presence of mind to do so. There is no ethical duty to act like Batman, unless, of course, you are Batman. Well, that’s not quite right. After Gray’s graceful assemblé from the platform onto the tracks, he lifted up the man, following a temps leve, although the carry itself was not standard and had several technical flaws by ABT standards, forgivable because ballerinas are not typically dead weight, and unconscious homeless men are not typically ballerinas. Gray deposited his temporary partner on the platform, where he was immediately attended to by others. Then the dancer heard a train in the distance, and for the first time realized how high it was to the platform from the tracks. “Luckily, I’m a ballet dancer,” he said. Luckily for everyone. Lifting his let up over his head is a breeze. Ballet dancers are much-maligned, and increasingly unappreciated as artists despite the fact that they are among the most skilled athletes in the world. Batman would have to have ballet training; Daredevil too. Unfortunately, they aren’t real. Graey Davis, Ballet Man, is real, and when a life was at stake and everyone else was calling for someone else to he a hero, he was one, because he knew he had the skills to pull it off. My father attended to the University of Louisville for a while, and he was a proud Louisville boy, so the recent fall of the school’s famous basketball coach has a homey ring for me. Fortunately, my father had little use for big time college sports and if he followed college basketball or the fortunes of his old school, he never passed an interest in hoops to me. Mark that as one more thing to be grateful to Dad for. For decades, my lack any rooting interest in college basketball and college football has been driven by the knowledge that they are both malign corrupting influences on higher education, students, athletes, African-Americans, communities, the sports media, and the nation’s culture. The amazing thing is that the sports don’t even hide it very well. If you are not aware of the recent college recruitment scandal coming out of Louiville, here’s a short summary. Rick Pitino is perhaps the most famous college men’s basketball coach, and maybe the most celebrated college sports coach generally now that Joe Paterno is gone. (Here’s how closely I follow college sports: there was a time when I thought Pitino and Paterno were the same person, as in “You say Paterno, and I say Pitino…!”—which is ridiculous: Pitino is a cheat, and Paterno let children be molested so he could save his football program from bad publicity.) 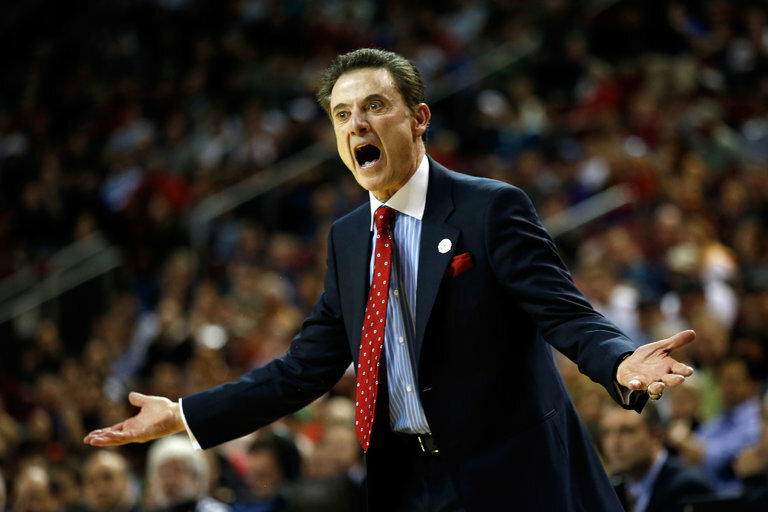 Pitino was placed on unpaid administrative leave after the school learned that he was a target of an FBI investigation into fraud and corruption. Yesterday, CBS identified Pitino as the “Coach-2” who played a role in funneling $100,000 to a U of L basketball recruit. That player is Brian Bower, and the 1oo grand came from Adidas “at the request of a coach,” apparently Pitino. In case you are really a college sports virgin, the NCAA has strict rules against paying athletes or offering them money to come to a school, unless the money is in the form of a phony scholarship that has nothing to do with education. Morning Ethics Warm-Up, 9/29/2017: A Rude Librarian, Another Incoherent Knee, I Need To Start Listening To My Own Lectures, And Did YOU Know That “Green Eggs And Ham” Was Racist? 1 In the middle of yesterday’s continuing legal education seminar on technology and legal ethics, I was telling the attendees about the dangers of all things Google. As I was explaining why lawyers should never, never do legal business on a gmail account, I added that they also have an obligation to tell their clients that there is not a sufficient expectation of privacy when they use gmail to communicate with their attorney. Then I literally froze and stared into space. “I just realized that one of my recent consulting clients, a lawyer, has been sending all of his communications and documents to me using gmail,” I said. I had noticed it, but it still didn’t trigger the response that I have been teaching to others for at least three years. 2. In the “I can keep it up as long as they can” category: There is now a viral photo of some idiot taking a kneel during Taps at the Tomb of the Unknown Soldier.